I didn't connect well with the main character in this book. It could be that I read in my early twenties and so many things just didn't translate. I would maybe have a different view about it now that I'm older, I've been married for years and now have a child. Not sure. 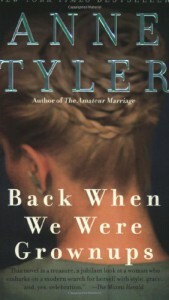 It was just OK for me although I love Anne Tyler's writing.